NOTE: Glitches at the start of this video & others mostly only appear at this location. VIew glitch free direct at the YouTube location. 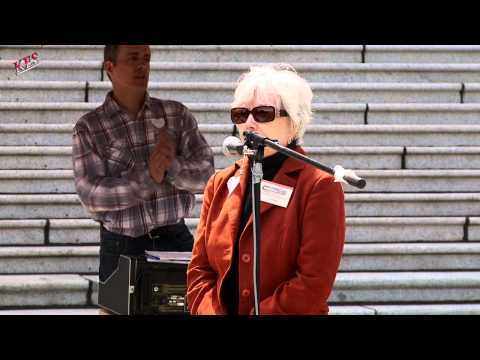 Director of the Coalition to Stop Smart Meters Speaks at a rally held in front of the Parliament buildings in Victoria BC. Sharon tells the side of the story often not presented to the public & reminds everyone the Charter of Rights and Freedoms confirms our right to live in our home, our refuge, free of invasion. We believe that BC Hydro has infringed upon this right and we must stand up and fight back to preserve a valid democracy. More information on what to do & not do with the smart meter topic & class action law suit may be found here: Media Co-Op for some reason does not seem to like this link.